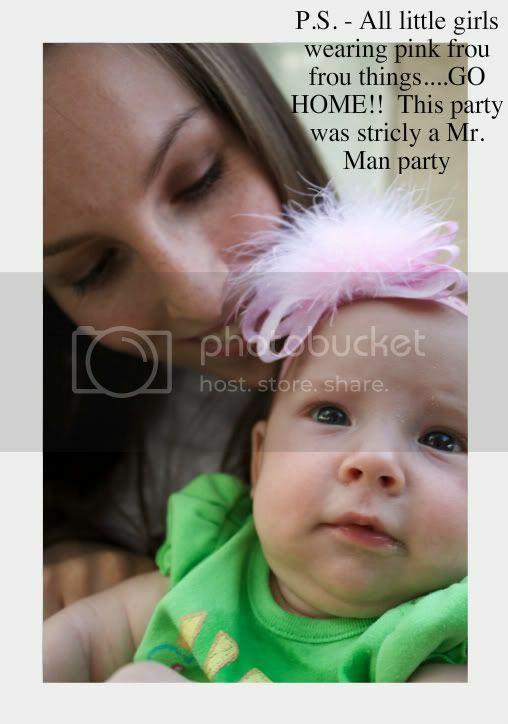 So the Mr. Man party was so much fun. If you can't read the sign it says, Come One, Come All or just COMB over (get it).....MR. MAN PARTY "featuring" ANDREW & The BOYS. Yes my brother was so kind to share his birthday with my boys in which I am very grateful for....like he really had a choice in the matter:-) This birthday meant that my boys were kind of a coming of age. When you hit 2 years old you're kind of not a baby anymore so I have been a little sad to see this day come. 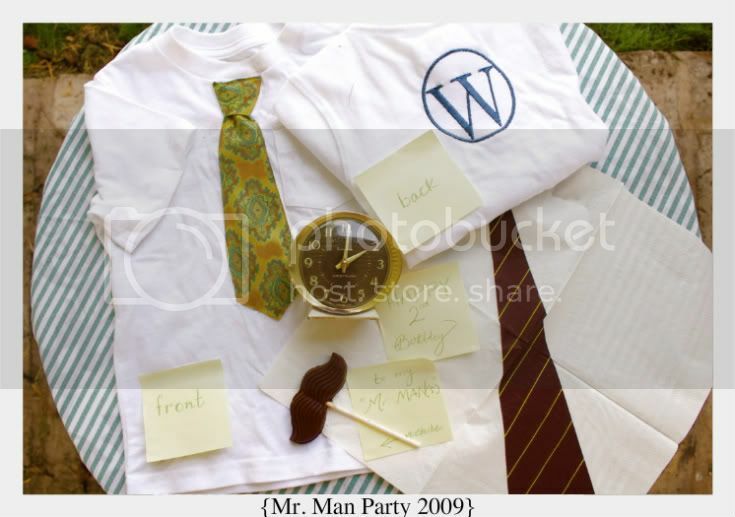 That is where the whole idea started unfolding in my head for a "Mr. Man Party". If you can't beat 'em join 'em. Seriously it won't be to long before they are wearing ties and carrying briefcases but hopefully not mustaches (unless they are chocolate ones on a stick). I promise to savor every last minute of these little tikes. 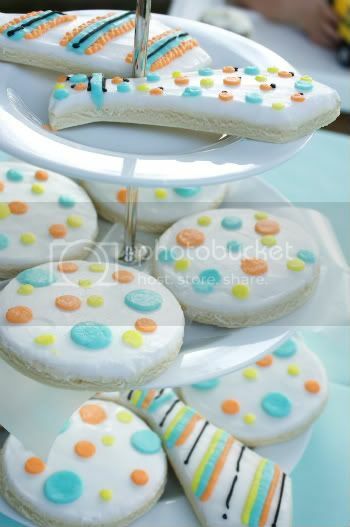 The cookies, especially the tie ones were so cute & tasty. Michelle makes very cute cakes as well...check her out. The cupcakes were awesome because one of my favorite people came over and made them for me yesterday. My Dad loved them so much that he even asked for the recipe. Perhaps I'll post the recipe because they are sure to trick the pickiest of eaters. On second thought, I don't know if I should because then my Dad would find out they were actually healthy & wouldn't eat them again. They were made with agave nectar, whole grain spelt flour, coconut oil, pineapple and carrots. The chocolate mustaches were a hit. I think Auntie Whitney should consider one in real life. So cute! We always love it when baby "P" is in the house. Does anybody know how to spell strictly...apparently I don't (refer below) but I'm too tired to change it. My Mom made the below shirts. The front had old ties sewed on with the back having their initial embroidered on it. Thank you Momma, they were perfect. 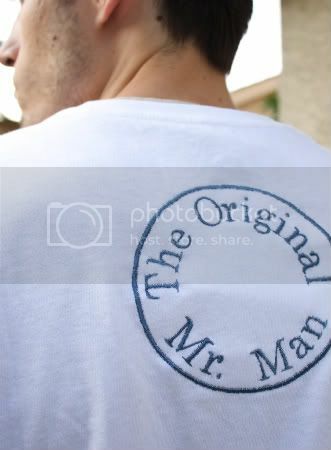 Don't worry my brother got one too, except his said "The original Mr. Man" on the back. We really did call him Mr. Man when he was a little boy so it was very fitting. Thank you to all that came. If anybody got some good shots of the boys blowing out their candles, pls. send my way. Have a great weekend and a Happy Fathers Day! Shout out to my Pappason & my Hubby. I love love all of this. How adorable. And great photos too. Ha ha the mustache pictures are classic!!! Thanks so much for letting us come. Everything was amazing. Once again you out did yourself.We love the boys! Oh my gosh what a GREAT party!!!!! I loved it all, the cookies the mustaches!! So fun!! Happy Birthday to your little mr.men!! How lucky they are to have such a fun and cute mommy!! So SO cute!!!! I think your other calling in life is part planer extraordinaire!!!!! I am so glad they had a wonderful birthday!!! you are amazing! 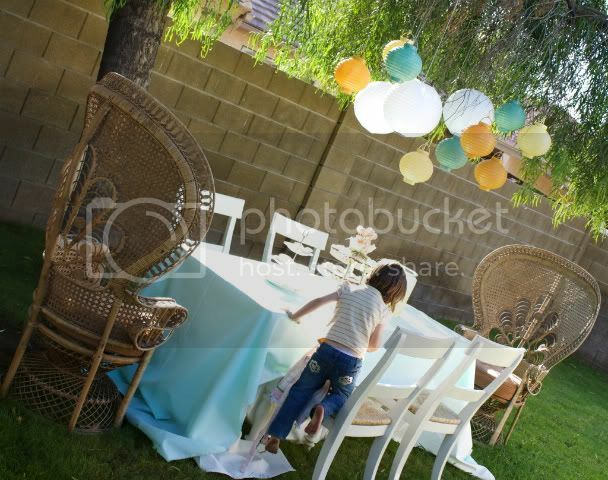 that is one of the cutest and most creative parties i've seen. ps. where did you get the turquoise chairs that your little girls are photographed sitting on? i LOVE them! thanks for all of the nice comments. Grace - Those chairs were actually purchased 4 years ago @ TJ MAXX. I wish I could find more of them...trust me I have looked every time I go. Perhaps you will have better luck in CA. oh me, oh my!! could this have been any more adorable? or perfect? you are truly gifted my friend. 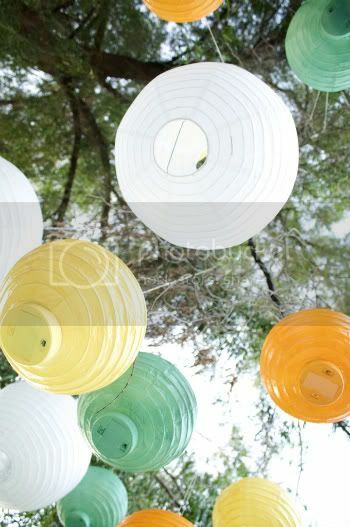 you need to be a party planner...definitely. you could make millions. i love the perfect combination of the dreamy yet manly decor. I'm so thankful to be able to spend a little bit of time with your little men on Sunday's. You're an amazing Mom! That is cool beyond words. 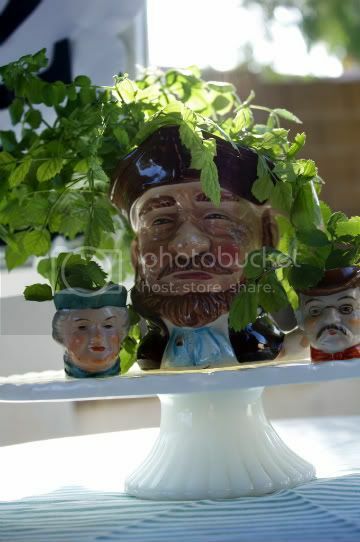 Your back yard looks so great all decorated with the cute ties and pirate planters, etc. You are so amazing and to think you made nutritious cupcakes. I'm impressed!Happy birthday to all the Mr. Men! The pictures turned out fabulous as usual! You are Amazing!!! Happy Birthday to your Misters. You are such a great mother. I hope I can live up to half of what you are some day. The party looks like it was amazing. Hope it was a great time. wow! i'm impressed; this so cutest thing i have ever seen. Are you kidding me? That had to be THE BEST party ever! I am in love. You are amazing. I wish I could have seen all that set up in real life! I love your ideas little lady! Oh my gosh you are amazing! How cute was that! I just love your blog! Those mustaches are so fun! And how did you manage to carry three darling little boys?! And, I thought being pregnant with one was awful. Are you kidding me with this cuteness? I love it! GREAT IDEA! Happy Birthday little men! 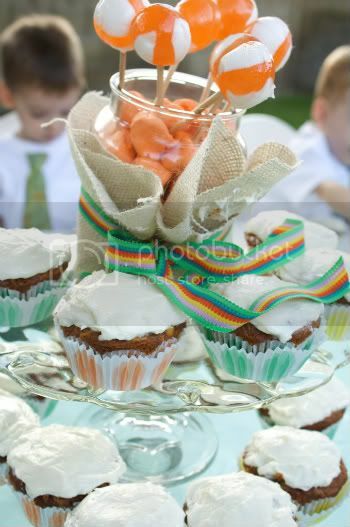 What a wonderful party you had for your little ones. You always have the best photos. Thank you for sharing. You are the hostess I want to be one day. Start a class, already!! Great job! Honestly, we should have gone in the event planning business together. Oh my heck Christina- you out did yourself!! I love the party idea and all that went with it. You're very creative. I know you feel like you've lost a lot of brain power, but honey, you haven't in the slightest!! this party is SUPER! love the chocolate moustaches - what a great laugh. What an amazing party!! I love all the details. So so cute! This party is super adorable!!! Love the theme so much. What a perfect theme!! Good job mom! Wow! 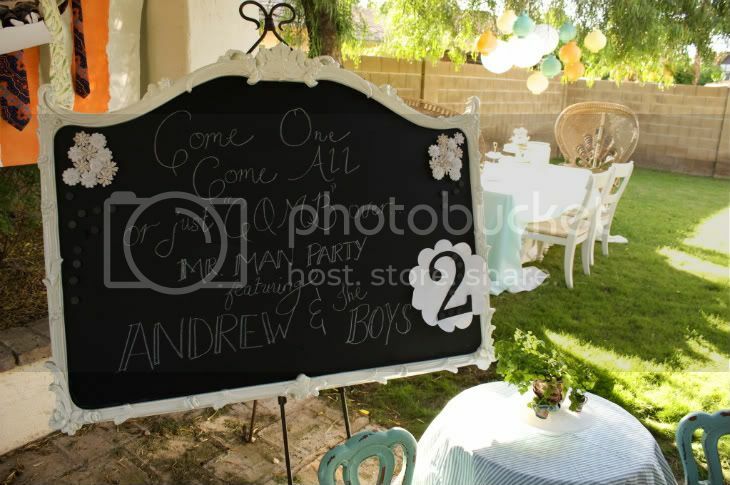 I think you should be a party planner. 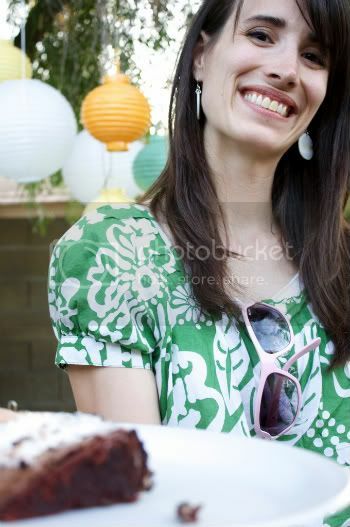 How do you find the time or energy to plan such a fun bash!What a great mom! such great details! 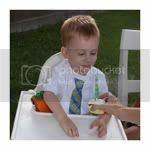 such a great party idea for 3 (again 3) little men! soooo inspired. Oh my cuuuuuuuuuute! I wish my son would let me do this for his 4th birthday but I think he wants ANOTHER football party...LOL. 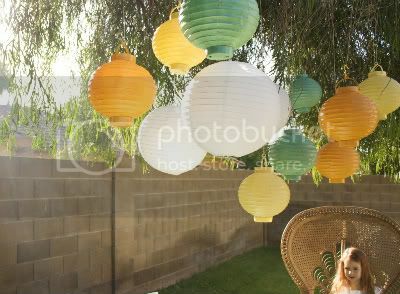 Can I ask where you got all the paper lanterns? I am in need and am wondering if you found them at a decent price - I love the look and the colors! what an awesome idea!! love it. great job. 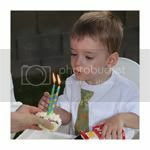 what a fun little boy birthday idea! thanks for the inspiration! so fun! 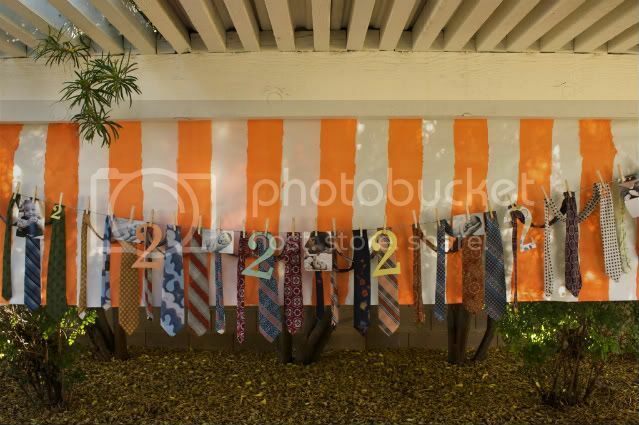 Love the pictures and the ties! 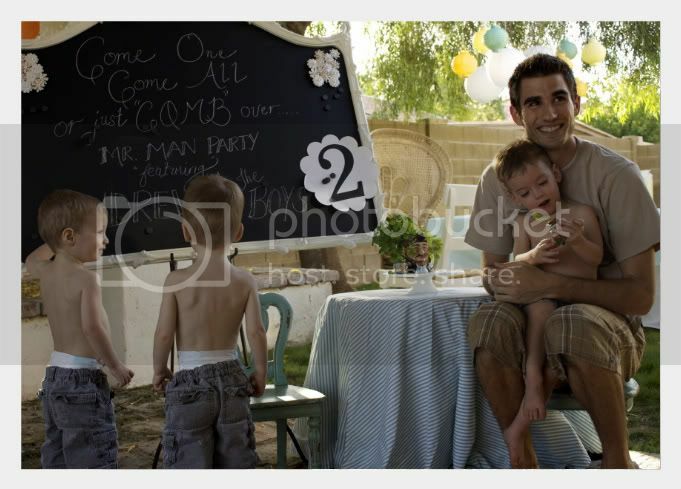 I heart this party, and with 2 boys, it's right up my alley. I just have to share with my readers! Im so totally in love with this. 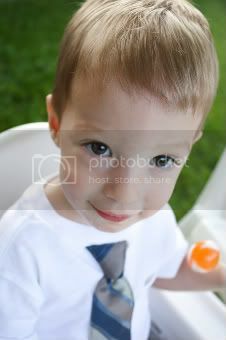 Throwing a party for my one year old boy soon, who has a total comb over .. no joke... Im so inspired by this... thanks for all the great ideas! 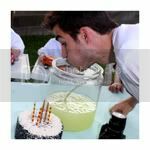 I SOOOOOO love this party idea and plan to steal some of your ideas for my son's 2nd birthday in December. We call him "Little Man" all the time. Any tips you are willing to share would be much appreciated. Where did you get the cute "tie" napkins? 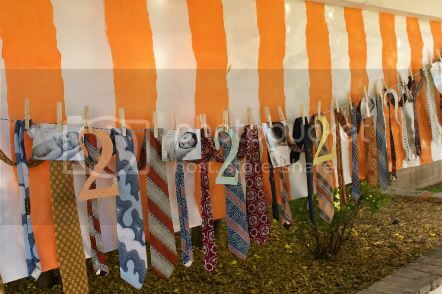 Did you find all the ties at thrift stores? How did you find someone to do those chocolate mustaches? i have to laugh, during my pregnancy for our 1st born (we didn't have a name yet)..we called him MR. MAN! i seriously thought that i had made it up! for my showers people even put it on the cakes, on the cards and everything. once he was born and had a name...i never thought about it again. 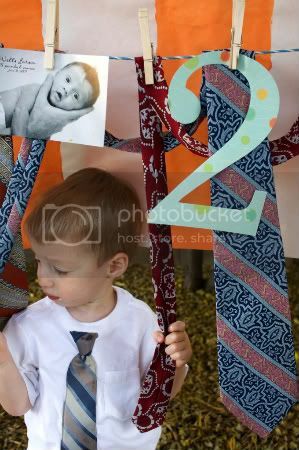 he just turned 2...this would have been such a great idea! shoot...i looked at this a month to late! great ideas, very fun.thanks! This is AMAZING! What a wonderful idea for a party. All the little details are so fabulous. I would love to link to this if you didn't mind. What a cute idea! 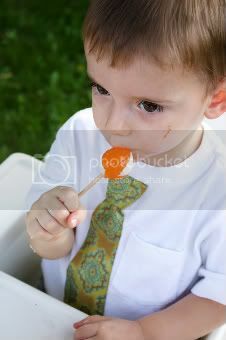 Where did you get the tie napkins and how did you make the mustache lollipops? darling! 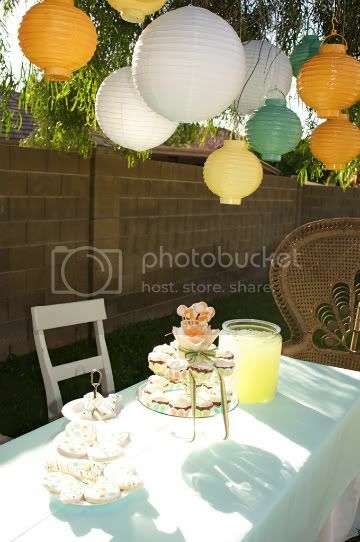 can i ask how you made the orange striped backdrop? i have been trying to figure out how to make a pink striped one for my daughter's birthday, and i would love any tips! Sara - I just used butcher paper and paint. on a roller. you sure have your hands full! Great party! Love the photo/tie banner! The triplets sure loved the Mr. Man party. 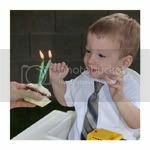 And based on how the pictures show, even the elders enjoyed the party as well. Your boys are so cute. I am sure they really enjoy that Mr. Man party. I love all the photos that you post. I wish that I was there too. The party is just so great. 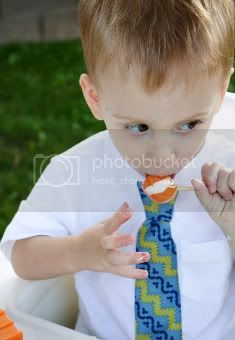 What is the orange and white backdrop behind the neck ties made of? This is too cool! 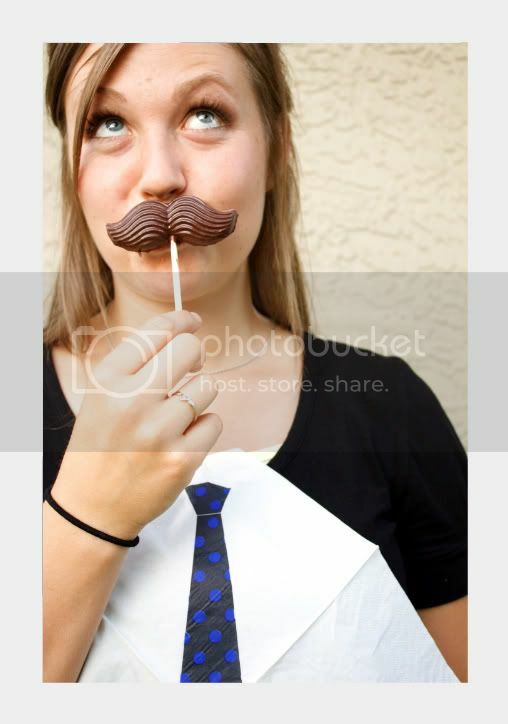 Neckties as party banner, silly chocolate mustaches? What could be more fun and creative than that! When the man is away, the girls come out to play. On the eve of triplet day. Collections & the simple pleasures of life. Circus & craving a good book.